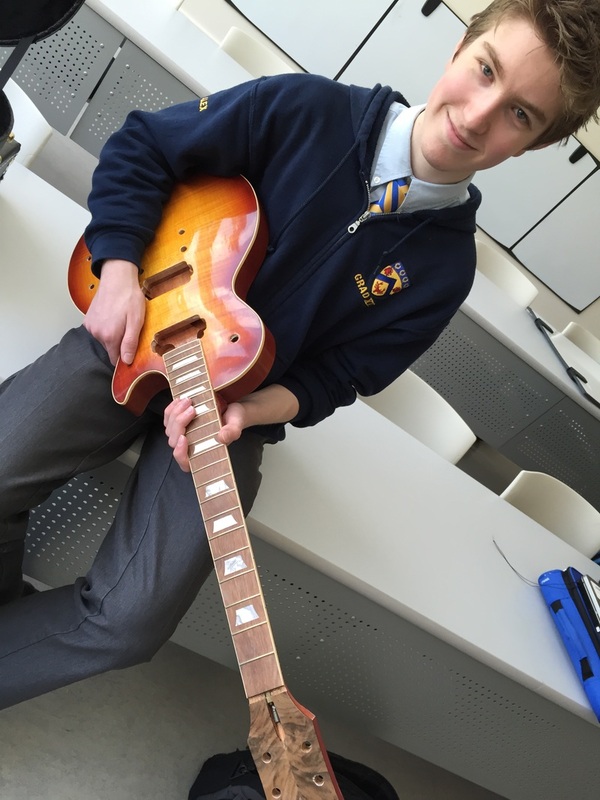 For Alex Neill, guitar building is the creative outlet in which he uses to express himself. The aphorism above represents his creative process, as he believes that creating something with his own hands gives the object a special value that it would not otherwise possess. When asked about how he was initially engaged in the act of guitar building, Alex recounted the times when he pursued academic training in Sentinel; the mandatory woodworks class allowed him to venture deeper into the arts, and embarked on the project of guitar building. It was where he delved deeper into the sphere of artistic expression, as well as understanding the personal value that comes with the creation of an object by hand. Furthermore, as he is engaged in this process, Alex is provided with an oasis of serenity amidst the tumult of the fast-paced society we now live in. Becoming involved in this form of art has had a major impact on his life, as it challenges him to work towards qualities that he greatly values, including having an eye for detail, patience, and mastery. 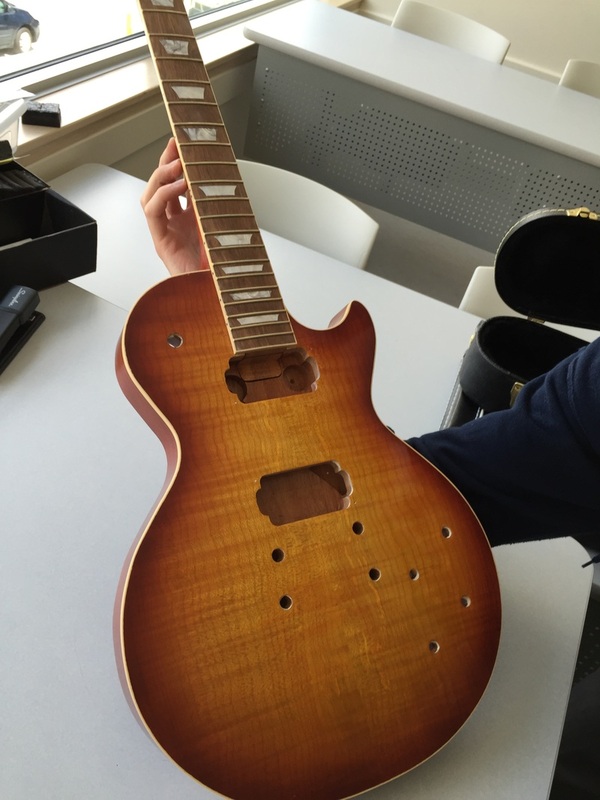 Alex has already completed a model replica of a Fender Telecaster with a sunburst finish and is in the process of working on a guitar that is modeled on a ’59 Gibson Les Paul with a flame maple top. None of his works have been featured in any exhibition, and Alex plans on keeping his creations private. In terms of advice for fellow artists, Alex advises them to pursue their own career based on what they derive the greatest intrinsic value from. He also advises against manufactured art, urging artists to create it instead. It is important for him and should be important to others to greatly value the reflective qualities that the creation of art brings.